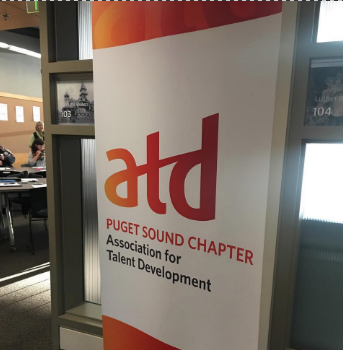 Above: Special edition of ATDps Podcast featuring special #WLC18 announcements. leading innovators, disruptive thinkers and leadership savants. This year's theme of "Innovation for Success: Honing Your Competitive Edge"
hints at the culmination of our region's ever advancing edge in talent development. You won't want to miss this one. 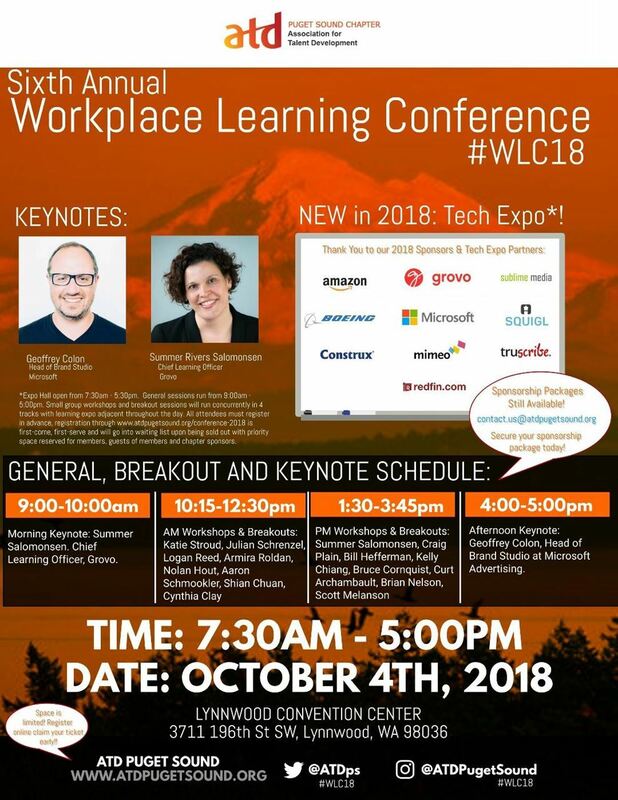 2018 will be our biggest Workplace Learning Conference to date. Check out our FAQ section for answers to your pressing questions. Thanks for reading. See you in October! Registration open on first-come first-serve basis. Group rates are available upon inquiry. Members are encouraged to register early as a wait list is expected for this event. Save the Date! 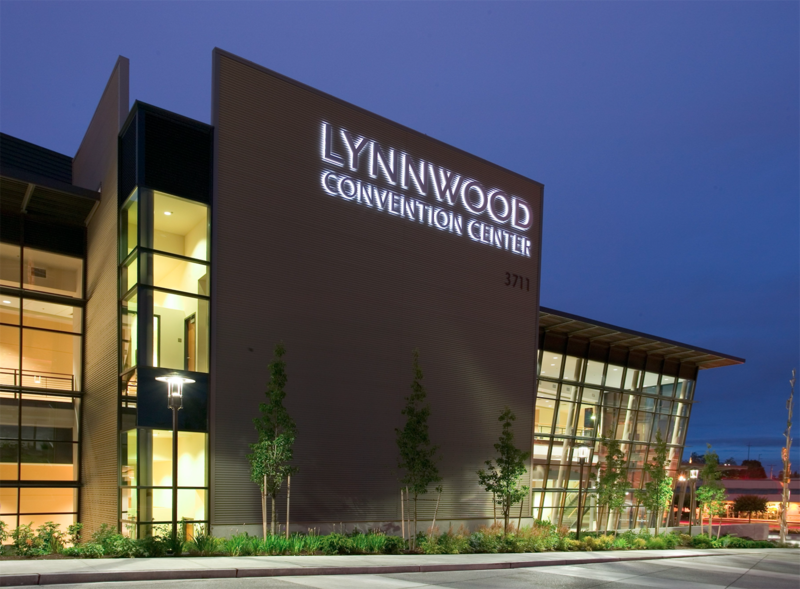 Our 4th annual Workplace Learning Conference will be held on October 4th, 2018 at LYNNWOOD CONVENTION CENTER. Interested in a Conference Sponsorship? Contact us here. events for our growing number of out of town attendees. Got an idea or want to sponsor something? Tweet, e-mail, instagram, find us on LinkedIn or just call to get in touch!